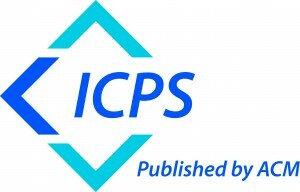 The seventh edition of the BIO-HPC workshop (http://bio-hpc.eu/BIOHPC2019) is going to take place in conjunction with the 49th International Conference on Parallel Processing 2019 (https://www.hpcs.cs.tsukuba.ac.jp/icpp2019/), Japan. BIO-HPC was previously co-located with IWBBIO (2013-2016). Due to BIO-HPC strong focus on HPC architectures and parallel processing we decided to move to ICPP 2019. The goal of BIO-HPC’19 is therefore to bring together researchers from different fields of Parallel Processing, Computer Architecture, Soft Computing and Bioinformatics to provide a forum for discussing future research directions and challenges to translate academic results into real benefits for the society. In conclusion, we look for original, high-quality research papers, clearly focused on multidisciplinary research that combines both Parallelism and Algorithm as applied to any possible of Bioinformatics, Computational Biology and Computational Chemistry problem. Paper submission: May 4, 2019. Notification of acceptance: May 21, 2019. Camera-ready paper: June 7, 2019. Vincent Hindriksen, Stream HPC, The Netherlands.